There seems to be some confusion of late as to the differences between home owners’ associations and sectional title schemes. Sectional title is a legal arrangement in terms of which parts of buildings can be exclusively owned, in conjunction with shared ownership of other parts of the buildings and the land. The fundamental concept that underlies this type of title is an abstract division of buildings into some parts that are owned in undivided shares by all participants (referred to as ‘common property’) and other parts that are exclusively owned (referred to as ‘sections’).The Sectional Titles Act, a national statute that applies to the formation and operations of all sectional title developments, also makes provision for ‘exclusive use rights’ in terms of which the owner of a section, who is also the co-owner of all the scheme’s common property, may enjoy the benefits of an arrangement with the other co-owners that s/he alone will have the right to use a specified part of the common property. Home owners’ association (HOA) developments, by contrast, operate on the basis of a combination of direct and indirect conventional ownership. There is no special type of title involved and no national statute that specifically regulates their formation or operations, although the Companies Act applies to those HOAs that are formed as non profit companies. In an HOA development, each owner obtains registered title to a conventional property held under a title deed and described on a registered diagram or general plan (‘kaart en transport’) as with any other conventional land in a South African township. But in addition, each owner of an individual property in an HOA development is automatically a member of the home owners’ association that is usually the registered owner of the development infrastructure. In this case, each owner has indirect rights to the HOA’s property as well as the other rights and obligations that are associated with that membership. 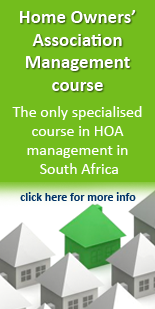 Home owners’ associations are one of the biggest and fastest growing sectors of the South African property market. There is a considerable need for knowledgable managers for these associations, and thus HOA management can be a lucrative niche for property managers. Paddocks is delighted to present the second presentation of the Home Owners’ Association Management course, the first and only course of its kind in the country. The 10-week part-time course, is presented entirely online through Paddocks’ innovative online training platform. The course covers the management of both kinds of home owners’ associations: those created in terms of section 21 of the Companies Act and those that are non-profit common law associations. The course is convened by sectional title and property expert Prof Graham Paddock. 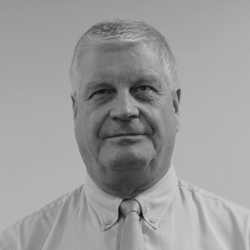 Anton Kelly is one of the course conveners for the Home Owners’ Association Management course. The course starts on 6 September 2010, and registrations close on 27 August 2010. Please click here for more information. I purchased a property in Cape Town in a new development in July 2014. The Architectural Guidelines of the development saw the houses built with white cladding on the front pillars on the stoop. The house i purchased was already built witg this cladding along with 5 other units. The developers decided that after building these 6 unit’s they no longer will build with the white cladding in front and built the rest of the houses with normal face brick. The sales lady made us aware of the change and at no point said we must remove the cladding and replace it with brick or wall tile looking like face brick. Myself and my wife purchased the property indicating we like the white cladding and at no point will we remove it. Note the papers supplied to the bank financing this property indicates the development has cladding on the front pillars architecture documents. There was an AGM meeting this year where i attended and all ammended changes were discussed and changes ammended noted and all hoa members made aware of any differences and changes on all documentation. The architecture guideline was sent but at no point was this mentioned that the white cladding no longer forms part of the documented architectural guidelines. The cladding is no longer on the documents. This month the representative of HOA sent an email stating we owners need to remove the cladding at the cost of the developer and asked that all 6 units home owners give consent to the developer to proceed. I refused as I like the cladding and this is what i bought and signed for with the bank. I received an email back from the company representing the hoa stating that at the general meeting it was unanimously agreed on the new architectural guidelines and that agreed to this thus them wanting to enforce the removal of the cladding. A further threat was made that the HOA would not like to take the necessary action and will if necessary. This is an inirect threat that if the conscent is not signed by 30 Sep this option will be persued if necessary. I request advice on the matter as i purchased my property according to what was advertised then and do not agree to being bullied into the HOA decision of all units having to look as the other’s which were built according to new architectural guidelines after i purchased. I will persue legal route of necessary. Thank you for your comment. However, we do not provide free advice. Please email us on consulting@paddocks.co.za with regards to your matter, and we can provide you with a no-obligation quote, so that we can assist you. I bought my free standing house 10 years ago. A few years ago ‘they’ decided to bring in a HOA. What actually justifies doing this. Also just how far are the trustees allowed to throw their power around with dictating for eg. Hoe long my grass should be, a bit of grass in my flower beds, etc. .. minor things like this. One of the reason I sold my apartment and bought a free standing property was to get away from people nitpicking over such minor ‘violations’. First complaint in 10 years but I find it a bit upsetting. If I want to grow my grass up to knee height shouldn’t that be my perogative?